Suncor Upgrader in Winter Northern Alberta. Canada. 2010. 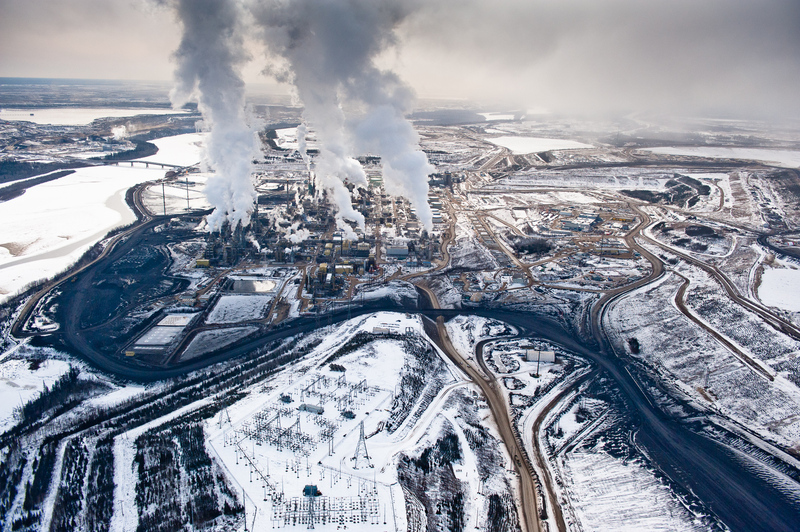 The Alberta Tar Sands are Canada's single largest, and fastest growing, source of carbon. They produce about as much carbon annually as the nation of Denmark. The refining of the tar-like bitumen requires far more water and energy than the production of conventional oil and produces significantly more greenhouse gas. Nikon D3, Nikkor 24-70 f2.8. Shot at ISO 800, 24mm, 1/8000 at f4.5. Alberta Tar Sands, Northern Alberta, Canada.